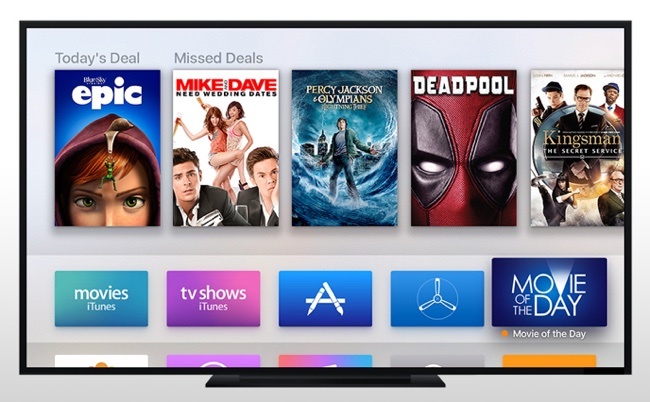 20th Century Fox today announced that its popular Movie of the Day app is expanding to the Apple TV ahead of Valentine's Day, giving Apple TV users an opportunity to get iTunes movie titles at a discounted price. The app offers a different movie each day at prices that are generally more affordable than other online sources. Each deal is available for 24 hours. Great app. Used it many times to pick up a great film at a bargain price. Nice to see this expand to the Apple TV. Would be great to see other movie studios roll out a similar app for their movie collections - Universal, Disney, Warner Bros., etc. Agreed. I check this app all the time. I do wish it had fewer repeats. Some of the same titles cycle through the deal of the day.